The annual holiday party was held starting at 6:00 PM for a social hour and 7:00 PM for dinner. This year's party was held at Marie Callenders 5711 E. La Palma near Imperial Hwy. Good feedback on the food and room was received from members. After the social hour and dinner, we said farewell to our President as he introduced the new board, passing out their badges and then passing the gavel to Tim - N6TMT, our new President. Congratulations to Tom Cowart, who received the 2014 Good of the Club award. Finally it came time for the yearly door prizes. Robbie won a Generator, Atlee won a switching power supply, Bob E. won a 2015 ARRL handbook, Corey won a handheld, and Tim G. took away the grand prize HRO gift certificate. Many other prizes were won by other attendees. Once the prize table was empty, some members, led by Tim - N6TMT's wife, Sheri passed out poinsettias and Belgian chocolates to all the ladies. Bob - AF6C, who predicted rain when the date was first set, was happy to see that the rain let up during the commute times to and from the party. Dennis Kidder, W6DQ was our guest speaker at the November meeting presenting part two of The History of the Development of the Modern Communications Receiver. Part II runs through the war years up to present day, Dennis talked about SDR (Software Defined Radio) and made some predictions about the future of communications receivers. The OCARC held its yearly club auction in lieu of the October General Meeting. There was lots of equipment for sale, and lots of buyers. Equipment donations to the club were appreciated. Clem Brzoznowski - W0MEC presented "A History of Morse Code". Clem took us back to the pre-radio era of morse code telegraphy that was used by the railroads. He showed some historic keys and sounders of the early days. Clem can actually copy the "click clack" of the American Morse Code, like the one heard at the railroad station in New Orleans Square at Disneyland. Clem actually "worked on the railroad" for 10 years. The 2014 SWD ARRL Convention is sponsored by SANDARC. It was be held held in the San Diego Area at the Four Points Hotel, 8110 Aero Dr., San Diego, half a block from Montgomery Field airport. Events included VEC sessions, a T-Hunt communications vans, lots of vendors, guest speakers, and lots more. Ward Silver, NØAX was the guest speaker at the banquet. Club members Arnie Shatz (The FT5ZM DXpedition) and Ken Konechy (The DATV Express) presented talks at the convention. Doug Millar - K6JEY was our guest speaker at the August meeting. 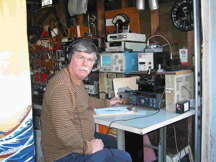 Doug participates in EME (Earth-Moon-Earth) Contests in the Fall from his garage and front yard on 1296 MHz. He show us how he does it. To learn more about Doug and his challenging aspect of our hobby visit his web site. Arnie - N6HC presented a program and slide show on the recent DXpedition to Amsterdam Island. A large turnout listened as Arnie told of the long trek to the French owned Amsterdam Island, its inhabitants, culture, and of course operating during this most successful DXpedition. Each year the OCARC participates in the annual ARRL Field Day contest and emergency preparedness exercise. This year was no exception; the group met at the Walter Knott Educational Center Thursday evening for a couple of hours to assemble antennas. On Friday the towers and tents went up. Saturday morning saw the rigs readied as well as any final preparations still needed. Operation began at 1100 hrs local time. This was a training year and many new operators became experts by the time the event was over! For more information on the OCARC participation in Field Day and results as they become available click here. Chip Margelli - K7JA gave a pep-talk and a lot of tips on Field Day setup and teardown. Tying safe knots, rolling and unrolling coax, staying safe - were just a few of the subjects he covered. A one-hour field day operating class was held before the general meeting. Members wishing to learn or feeling a bit rusty attended to learn proper FD operating practices. At the May meeting numerous members of our club presented short demonstrations of projects they are working on in show and tell segments. The "Show and Tell" format for our May meeting was proposed months ago as a way to showcase the great talent and radio knowledge that we have in our club. This meeting was be a virtual smörgåsbord of technical topics. By the end of the evening, it was plain to see that OCARC has more members in more places doing more things with amateur radio than any other radio club in Southern California. Peter NI6E: "FunCube Dongle Pro+ Software Defined Receiver". 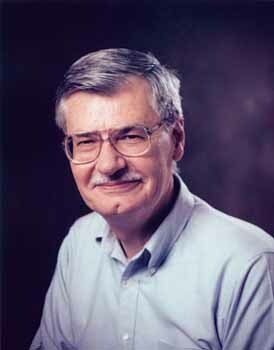 Clem W0MEC: "Brief History of Computer Data Storage". Ken W6HHC: “DATV-Express boards with RKM MK802 'mini-PC'”. Tim N6TMT: "Learning Morse Code from the CW Ops CW Academy". Dino KX6D: "Tower Inspection and Maintenance". Robbie KB6CJZ: "Digital AmateurTV Repeater". Nick AF6CF: "Using a microprocessor to control a loop antenna." If you missed this meeting you missed a lot of good information. Location: OCARC Booth at Scout o Rama - 5305 Santiago Canyon Rd. Admission: $10 per family with Camp Card. Many different demonstrations were done by dozens of local Boy Scout troops. The Orange County Amateur Radio Club staffed a booth and demonstrated Amateur Radio to the Scouts. Members Tim N6GP, Tim, W6TMT, Tom, W6ETC and Greg, W6ATB staffed our booth, and publicized our club and Amateur Radio. Dennis Kidder, W6DQ was our guest speaker at the April meeting presenting part one of The History of the Development of the Modern Communications Receiver. 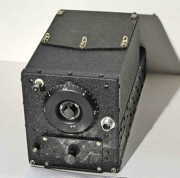 Part I covers the first 75 years of "wireless" leading up to the beginning of World War II. 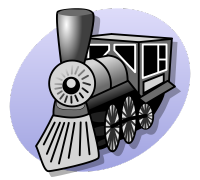 Dennis answered some nagging questions like: Who invented the first practical receiver? Was Marconi really the inventor of wireless? Who the heck was James Lamb and what did HE have to do with anything? The development will be broken down into a series of "defining moments" that lead up to where we are today. Spark to superhet, the first 75 years. Dennis will come back for Part II that runs through the war years up to present day, and he will make some predictions about the future. This was a very interesting and informative program. Dennis has a way to inform, amuse and challenge the audience that makes his presentations so enjoyable. Wayne & Carrie Overbeck - N6NB & W6TAI talked on their tower trailer project, and how it came to be from the ground up. Over the years they have built ten tower trailers and towed them around the USA. 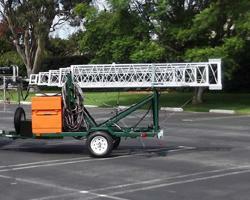 Wayne explained how he turned a utility trailer into a modern tower trailer with lots of bells and whistles. Each year a group of members of the OCARC support the Orange Police Dept. in the annual Baker to Vegas Challenge Cup Relay Race by providing communications and logistics over the 120 mile race long course. This year the effort paid-off as OPD came in second in their class and 35th overall out of 261 teams, finally officially - and substantially - breaking the 16-hour barrier, finishing in 15:39:36. Club Members KI6APH, AF6C, KB6CJZ, W6HHC, KK6IYK, KG6OXD, KE6WWK, KI6WZU and KE6ZMG all participated with the COAR group supporting the Orange City team. Club member W6HK supported the Orange County runners. Did I miss anyone? To see how various teams did click here. Bill Prats - K6ACJ talked on PICAXE / Arduino / and Raspberry Pi. The PICAXE is a series of microcontroller chips that are easily programmed using free, easy-to-learn software. These chips can become the "brain" of your project. The Arduino is a series of flexible, open source, prototyping platforms that can be used for many different control and sensing applications. Bill will be showing us these devices and their use in ham radio. Bill also introduced us to the new higher power "Raspberry Pi". The 10th annual Yuma Hamfest was held at the Yuma Fairgrounds, 2520 East 32nd Street, Yuma, Arizona. Retired ARRL SWD Director Art Goddard - W6XD spoke on the future of amateur radio in this recently updated presentation. Nov 8th, Oct 11th, Sep 5th**, Aug 9th, Jul 12th, Jun 14th, May 3rd*, Apr 12th, Mar 8th, Feb 8th and Jan 11th. * Date changed to the first Saturday due to a conflict with the Scout-o-Rama. ** The September breakfast was changed to the first Saturday due to a conflict with the ARRL SWD Convention. *** The December 13th breakfast was canceled due to the Holiday Party being held the night before. This page last updated on 18 December 2014.